QUESTION TO BE SOLVED: Would DNA testing solve the mystery of the origins of James Beal Bunyard? Visit The Bunyard FTDNA Project hosted on Family Tree DNA. Help solve the question of who are the parents of James Beal Bunyard. It is not certain the parentage of James Beal Bunyard. It is known there was a James Bunyard family living in East End, London since before 1678. This family baptized their infants, James and Jane, at St. Botolph, Bishopsgate, London. There is another Bunyard family who marries at All Saints Church in Maidstone, Kent County, some 22 miles southeast of London. Are these two lines connected? It is not proven that James Beal is a member of either of these Bunyard families. On the 14th of September, in the year of 1763, I first meet James Beal Bunyard, soon to become one of His Majesty’s Seven-Year Passengers. James Bunyard has been indicted for stealing one man’s hat, a value of 10 s. and 10 s. in money, the property of Edward Jones, on September 1. He is approximately 20 years old and single. John Smith was called up and deposed that he had brought him up from six or seven months old till he was fit to go apprentice; that he was then an apprentice to Francis Stedman, in Clerkenwell; and that he never heard any ill of him in his life. James Beal was found guilty of a felony and on 22 February 1764 received the sentence of transportation. James Beal Bunyard with other felons-convicts walked from Newgate to Black-fryars, and thence into a close lighter to board the Tryal. Under the command of Capt. W. McGachin, the ship transported 166 passengers in total, including 75 convicts from London, Middlesex and Surrey. The Tryal sailed in March 1764 to the colonies in the west. The trip would take approximately two months and not all convicts would survive the voyage. Because most convicts arrived in Baltimore, Maryland or Hampton Roads on the James River in Virginia, it will be assumed this was the fate for James Beal, also. James Beal Bunyard resurfaces in July 1774 with a wife and living in Surry County, NC. It is months before the Revolutionary War divides Loyalists and colonists during the years 1775-1783. It is here that I will take up the story of my Bunyard ancestral line in America. Bunyard family story excerpts taken from Bunyard Family Histories by Patricia Bunyard © 2008. 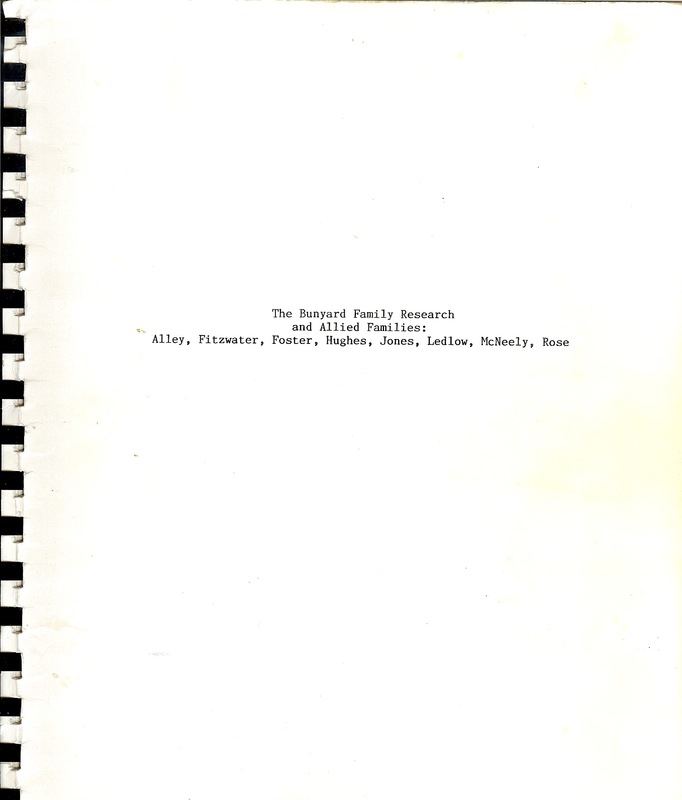 Bunyard Family Research is compiled by Mary Cole et al. 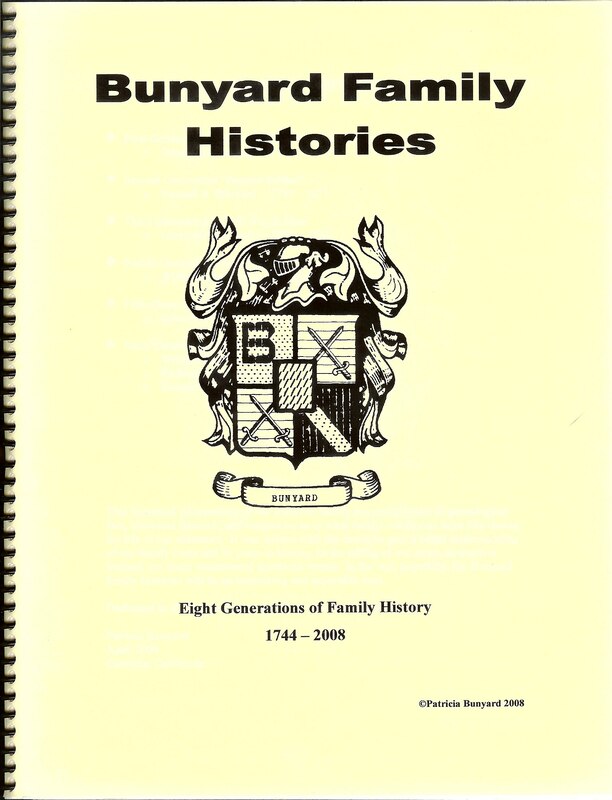 This excellent research on Bunyard and allied families is available for purchase. Contact Mary Cole at marycole@prodigy.net. 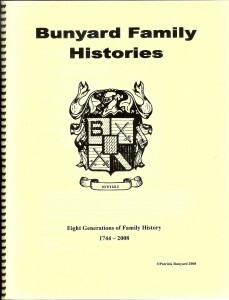 The Lauderdale County Department of Archives & History has the complete 1995 edition of Bunyard Family Research online. Follow the link to: kithandkinofthesouth.org. Just google my grandfather, Claude Bunyard, Oklahoma Cherokee Strip . A Mayor in Weweoka Oklahoma or Enid Oklahoma, yet he was a very good smart such a caring man understands the strife of a humans life suffering. He was an Owner of the Young blood HotBanks , Car Dealership, land of oil rights. My grandfather Claude Bunyard has his name in Enid Oklahoma as a mayor and we all are going to find the town of his mayorship,. Claude Bunyard was just hoping for the best life for his family all of the many mistreatment of so many years of experience of seeing evil people do too cruelly such harm of mankind , in race , gender and a difference of life to seek of a new world.. A very smart man Claude Bunyard kept his wise work for his wife and grand children too understand the world and the way of giving back to the Oklahoma’s that suffer. His son William C Bunyard 11 a tall man of his era with the eyes of the blue sea A great father and other kids with no dad always helped them out and he said it’s not a easy world with no father and poverty of a women raising children in this era . Then a few days his only granddaughter was born at 6 months , only was one pound. Wilian Bunyard 11 said nope my kid has a will and he was told no your daughter Joan Marie will never live prepare to bury her now. He bought a casket and had the priest at the hospital too give her the last rights . Nope in the next few days his only daughter was not dead and still alive . Our father William C Bunyard 11 never would put his only daughter too give up and stayed with my sister for months at the hospital . It’s a very good father and name from the Oklahoma Cherokee Strip and Hobart Oklahoma lone wolf saw a genuine guy and his wife too seek a good life education and hope . Trying too pass on the wise way too never help the person you can help in a life of more good than bad . I will add that you will find reference to William S. Lyon with a Google search. He also qualified for U.S., Revolutionary War Pensioners, 1801-1815, 1818-1872 for William Lyon; this is on Ancestry. He received a 20 month allowance so he is recognized as a veteran. I do not see a Bunyard in the list (B’s are around pages 298-299) however he died in 1817. Congress first offered service pensions to officers in 1781, in order to prevent mass desertion but whether James would be part of this is a question as his rank was not very high. Unfortunately, Congress did not pass pension legislation for indigent veterans until 1818, and service pensions for all veterans in 1832. I again mention that your best bet may be shown that Wm Lyon applied and qualified and in his sworn statement states that James Bunyard served with him. William is serving in the right area, around Wilkes Co., NC in 1781-1782 under Col. William Nash, Capt. Larkin Cleveland, Lieutenant Martin Gamble. The other bit of info that I have that helps support that this is your James Bunyard is that in the early county government of Wilkes Co., James Bunyard was a constable for the district of Bugaboo and Swan Creek. Also on that council was a William Gamble, unknown if related. I have an indication that James Beal is in the “1812 War of 1812 Service Records 1812-1815” – cited on Ancestry but I have not seen the original paper. James Beal would have been a little old for the War of 1812. However, I am pretty sure he served in the American Revolution, as you have asked about. Lyon’s statement describes his service, battles with the Tories, and marches into other counties of NC. By naming James Bunyard, it should mean that his descendants would qualify for S.A.R. You might look for this statement by Lyon. I would look at the National Archives or Fold3. Good luck and would love to hear if you find the record and share. 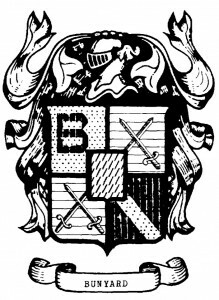 James Beal Bunyard is my 6th great grandfather. I am currently processing information to join the Sons of the American Revolution. Do you have the information that shows James Beal Bunyard being an ensign during the Revolutionary War? Hi Pamela, glad to hear from you. First, do I need to correct the spelling of your father’s first name? There is a lot of DNA work being done trying to link the various lines of the James Beal Bunyard sons. Of those I am aware, there are DNA results for Patriarch’s James Beal’s son James 1781 using lines James M 1814 and Isaac Ransom 1822. Are you aware if any of your Bunyard line via Pitman have taken any DNA tests? My father Murl (Mearl) D. Bunyard, son of Floyd Woodville Bunyard son of Riley Madison Bunyard, son of Larkin f Bunyard, Pittman l Bunyard, son of James Bunyard son of James Beal Bunyard. I have living male cousins from Floyd’s brothers Marvin and Bugs (Riley) sons Charles Bunyard, Reggie and Bobby Bunyard. I am a descendant of James Beal Bunyard myself. James Beal 1 to James Beal 2 to Isaac Ransom to George G. to Wiley R. to Marx R. Sr. to Marx R. Jr. to Marx R. III to Trevor L. I am Trevor L. Bunyard living on the same piece of property in Lauderdale Co. MS that George first settled. Welcome. Hope you find the information helpful. Please let me know if there is data I can add or correct about your family. It is a big help to others doing research. 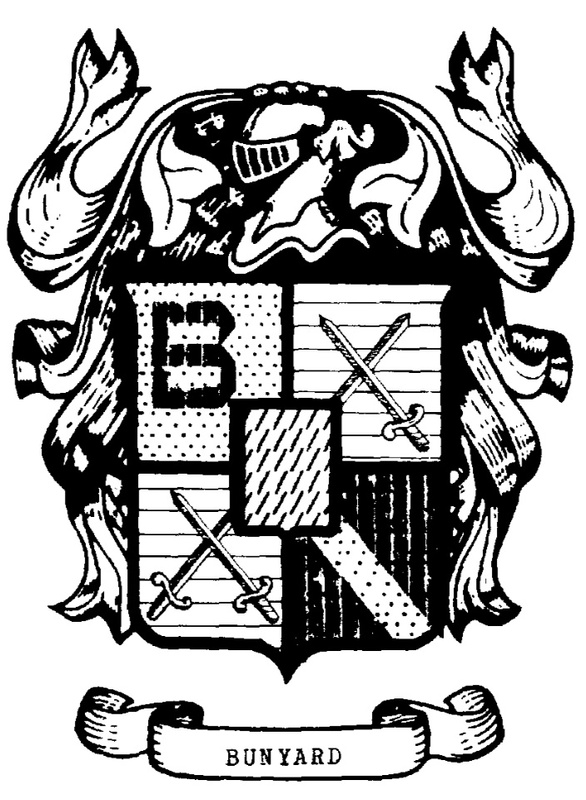 Im russell bunyard from ada ok and my grandfather fred bunyard grew up in roff ok..where he and 13 brothers and sisters were raised so the bunyard name has came a long way…i loved finding the crest. My 4th great grandmother was supposedly Eveline Bunyard, daughter of James Bunyard and Martha Jonea. She married John Adkins on 14 September 1876 and had 2 children, Millard (3gg) and Robert. Anyone done DNA that I can compare to? My father, John Bower, did DNA through Ancestry but I can find no matches with the surname Bunyard except for a first cousin and that’s because it’s been family history but I do realize that family history can be wrong. Eveline and John Adkins are both mentioned in the kith and kin book. My dad is on Ancestry DNA and gedmatch. Please contact me at bitaelb@gmail.com. Please send along further information. 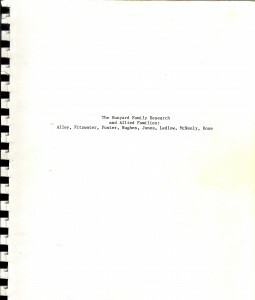 I am sure there is a connection as research shows Bunyards in Oklahoma. This is a very interesting page. I was born Jennifer Lyn Bunyard. My father and grandfather both named Claud Bunyard. Both were born in Oklahoma. I wonder if there is a connection to any of the eight generations of Bunyards. My grandfather is William Claude Bunyard he came from Great Britton and Scotland. He came to America through New York Harbor with his father Franklin Bunyard and they lived in Mississippi for many years. Then moved to Oklahoma when the oil boom hit and land run. My great grandfather Franklin Bunyard’s wife passed away at an early age and he raised his five children alone, Claude, WC, Mamie, Lucille, and Wiilla-lee. My Grandfather Claude ( William Claude) served in WW1 and married Katharine I Murphy, they had a son named William Claude Bunyard 11 and Edward Bunyard(Murphy). My grandfather was a savvy business man in Oklahoma. Owned The Young Hotels, Banks, Car Dealerships, Oil Land Rights, and many buildings in Enid Ok. My grandmother Katharine Bunyard worked as a state secretary for Oklahoma for 22 years. The Bumyard ‘s are roman. Catholic and very generous people. The men in the family in that era 1900 were tall 6 foot two plus our Great Grandfather Franklin was 6 foot 4 and lived a long happy life and known as a good father, devoted Roman Catholic and most all of his children were born and died at St. Anthony’s Hospital. His grandson my father was tall, 6 foot four? After serving in the Korean War my dad went to OCU and got his bachelors degree in Business. My dad married the love of his life Ellen O’Brien. My dad William Bunyard worked for Farm Bureau Insurance Co. 45 years, was the Vice President of Farm Bureau and Arbitrator. I have just aquired an old Bunyard family bible and it doesn’t have the daughter Betsy listed, but it does have a daughter Jane listed. I would like to know how I could see a copy of the will of James Beal Bunyard. Thank you.